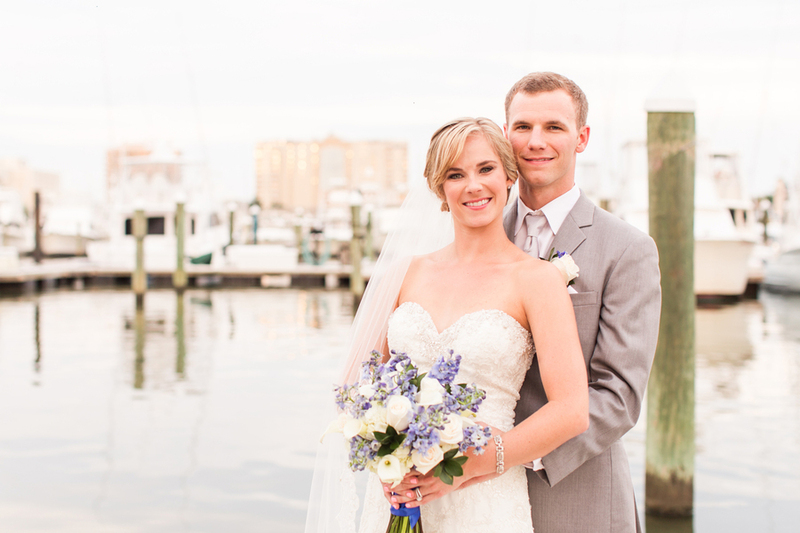 This nautical Virginia Beach wedding certainly does not disappoint. 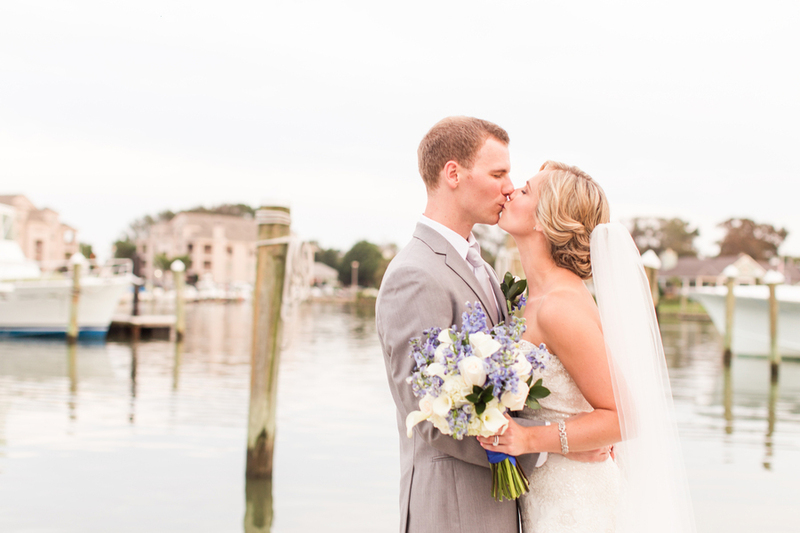 Stephanie and Cody love the beach, so they knew a waterside wedding would be the perfect way to tie the knot. 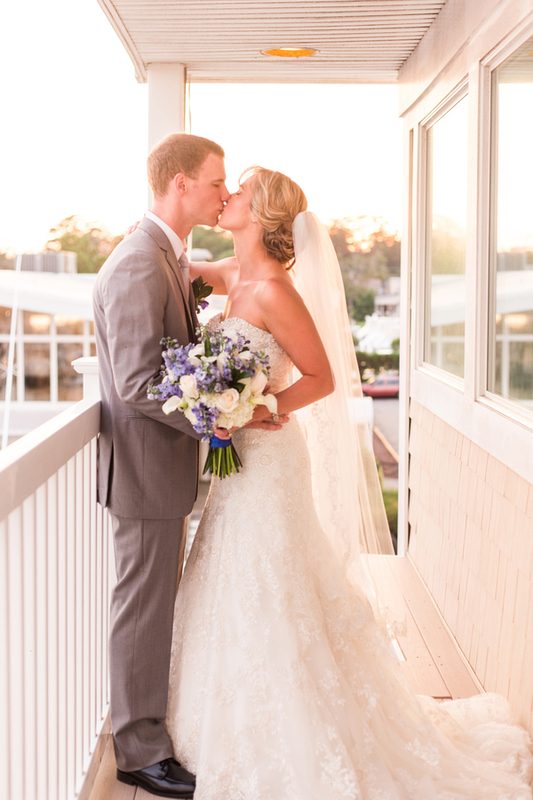 And what a lovely seaside soiree it was filled to the brim with a pretty palette, ethereal florals, romantic golden hour light, seashells, and a hint of preppy stripes! 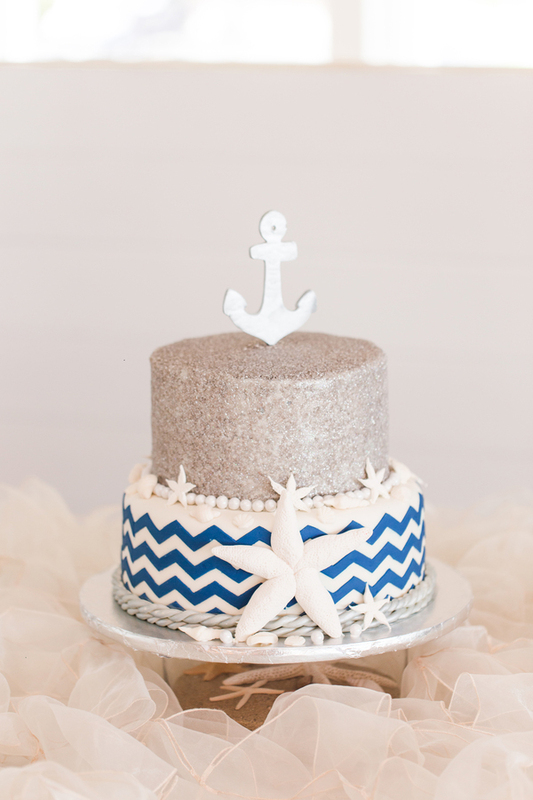 This gallery captured by Diana Gordon Photography is nautical chic at it’s very best and you can dive right in below. 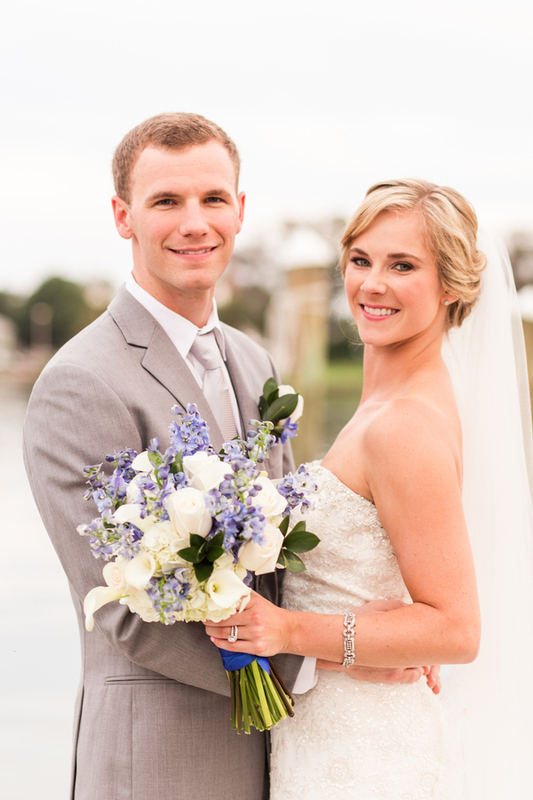 From Diana Gordon Photography…Stephanie and Cody love the beach SO much that they live just a block away from the sand and planned the perfect nautical wedding with a marina in Virginia Beach! 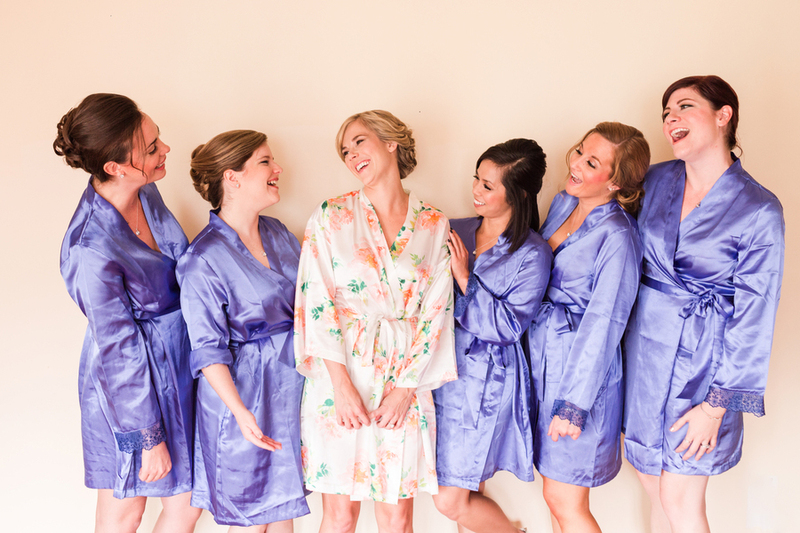 Stephanie got ready at their home with all of her bridesmaids, mother and mother-in-law. The girls all had matching robes and were full of excitement. Stephanie’s bridesmaids and mom’s (mom and mother-in-law) all had turns to help her get ready. 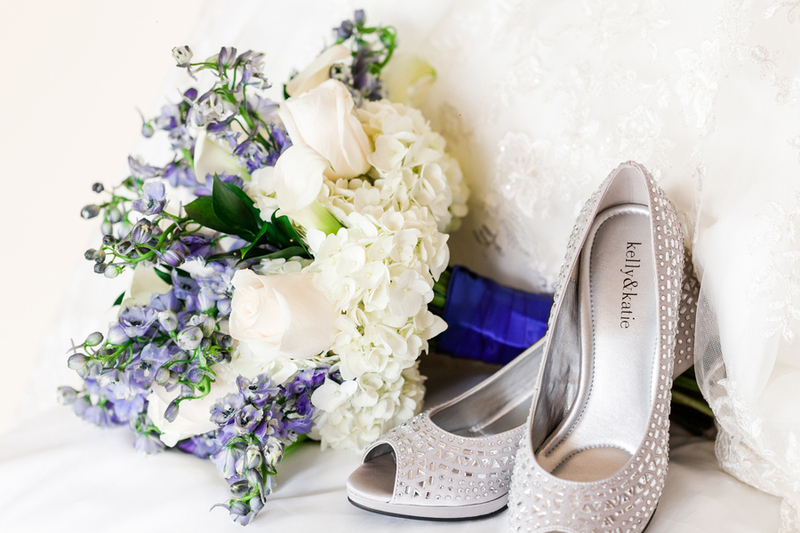 Even though they planned a nautical-themed wedding, Stephanie had beautiful classic details from her silver high-heels shoes (with the fun and custom “I Do” on the bottom of them), to the round bouquet full of blue and white flowers. 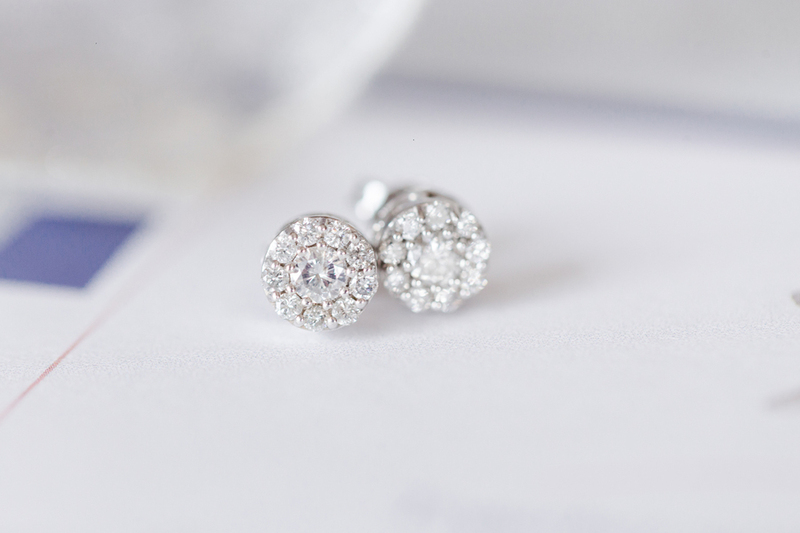 She wore classic diamonds and her great-great-grandmother’s bracelet. 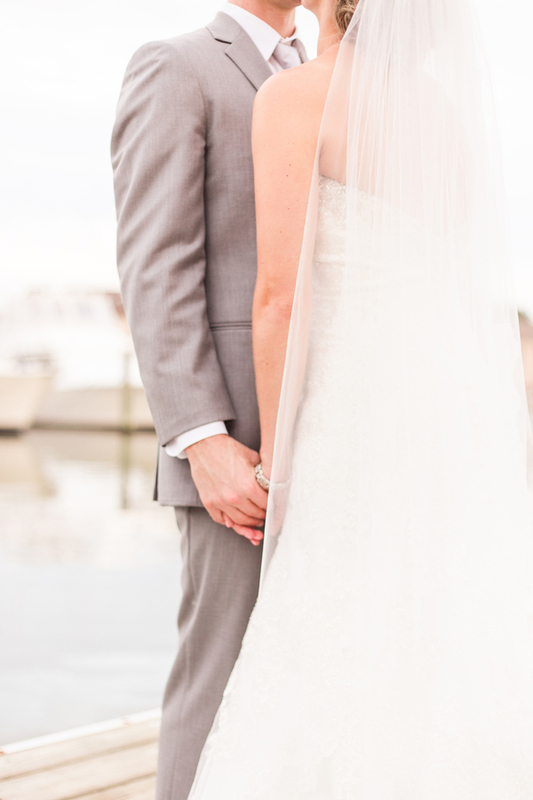 Her veil was custom and made by her mother (how special is that!). 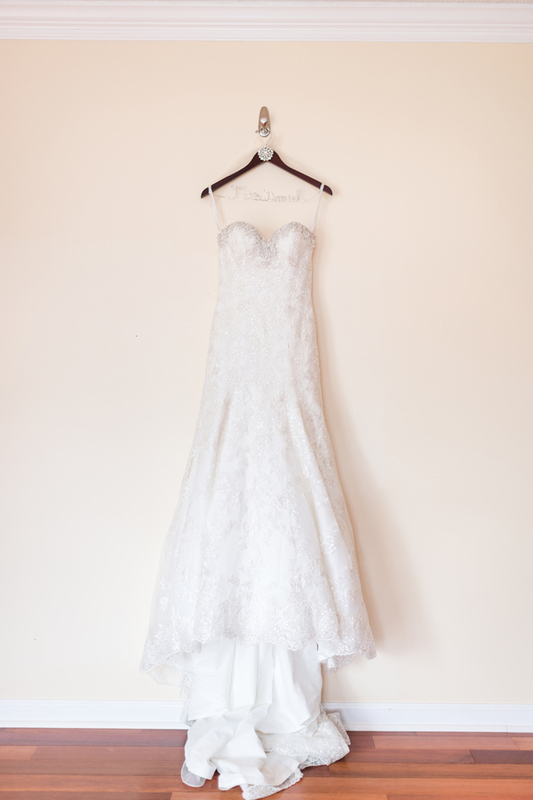 And she even had a piece of her mother’s wedding dress sewn into her dress. Stephanie and her dad have such a special relationship. 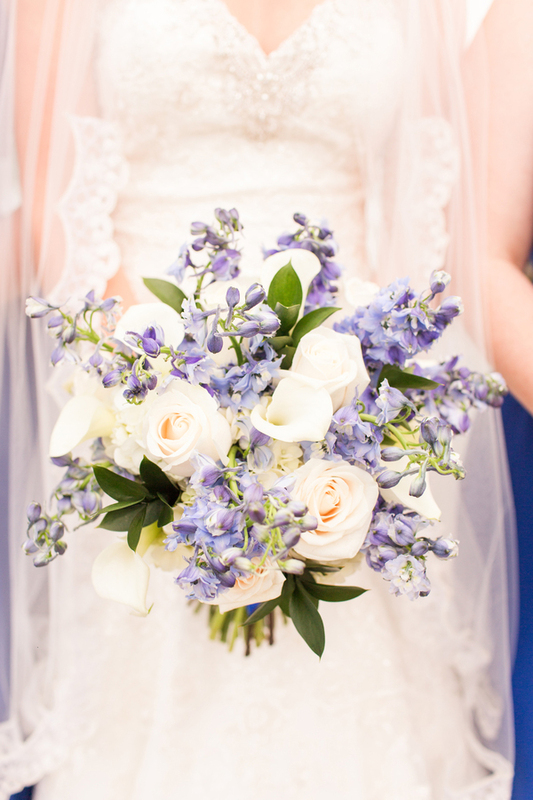 Her dad was very emotional the entire day with the thoughts that his little girl is getting married. They did a father-daughter first look and he was tearing up before it started. And he cried down the aisle and during the ceremony. There is just something about a daddy’s little girl. 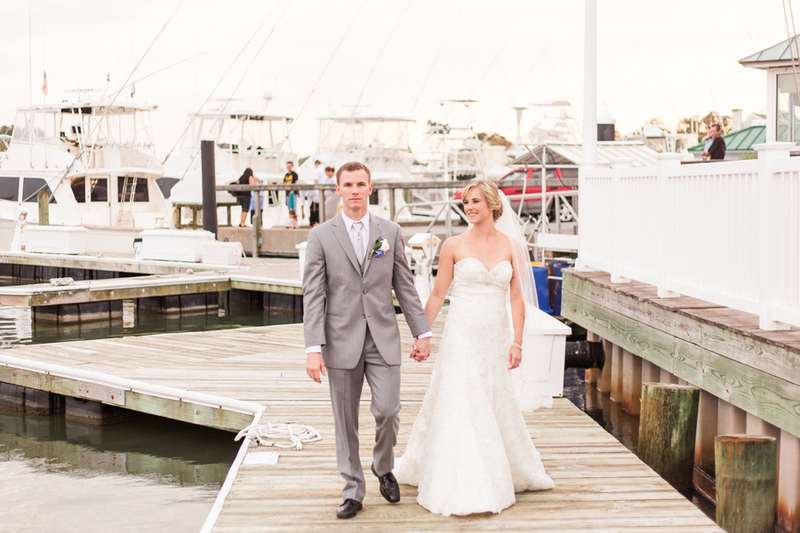 The guys wore classic gray suits and light gray details, elegant but still perfect for an outdoor wedding. 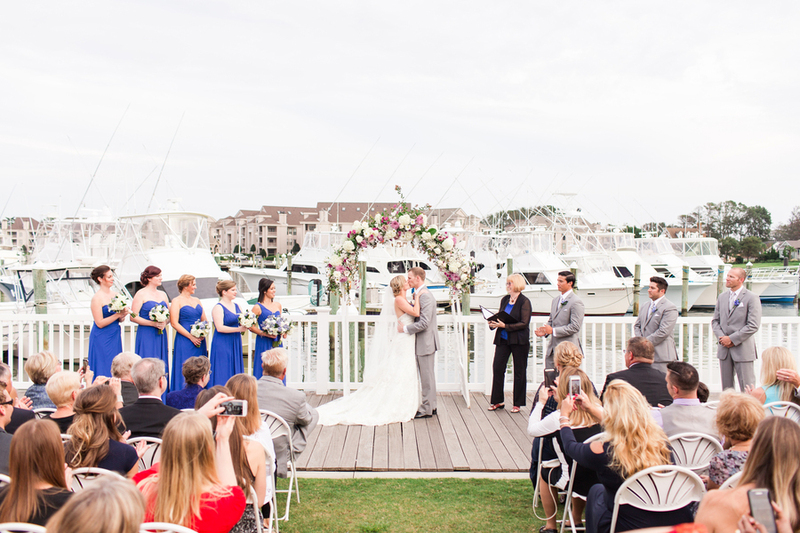 Stephanie and Cody had an imitate outdoor ceremony. Their closest friends and family were in attendance. 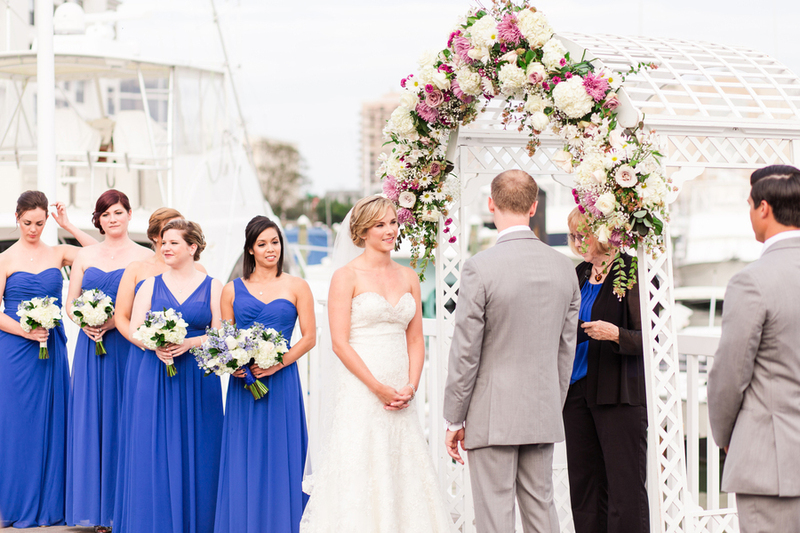 They were married with the marina in the background and a beautiful arch full of flowers framing them. There was so much joy when they were declared husband and wife. 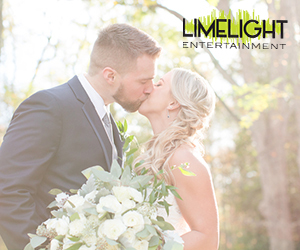 Their reception was full of simple but elegant decor. 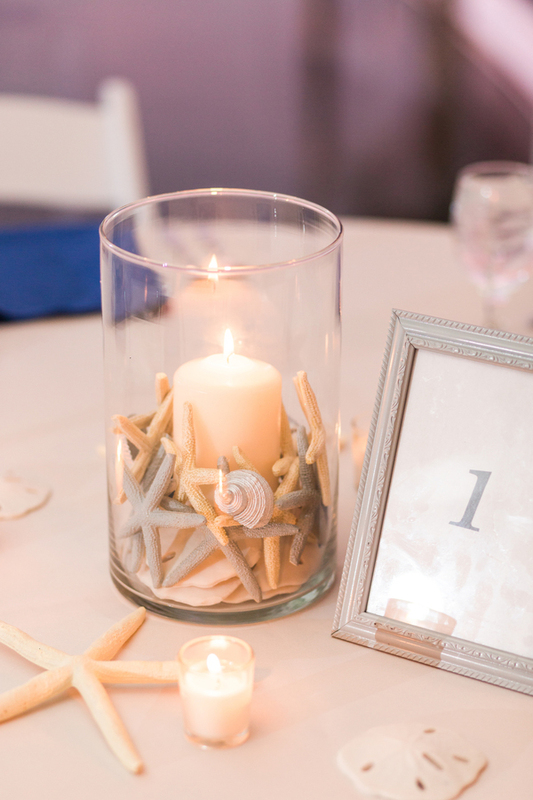 Each centerpiece had a burning candle with tiny sand dollars and starfish filling the vase around the candle. 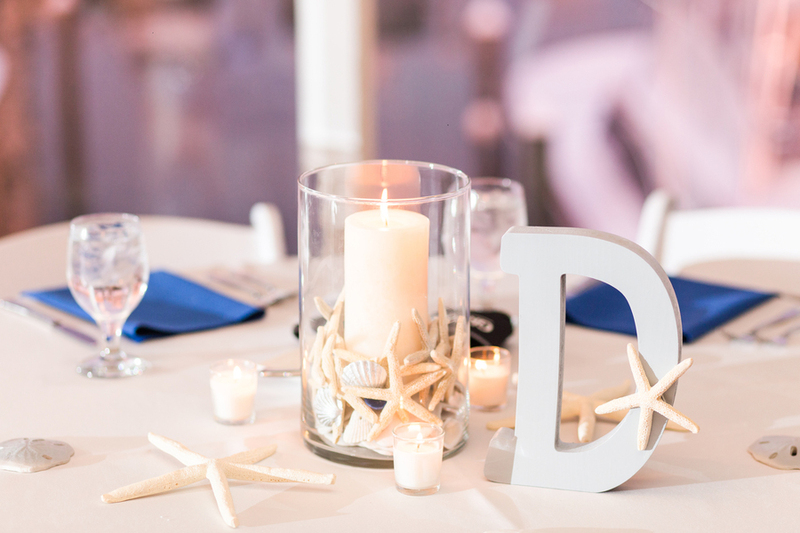 They also choose to place large sand dollars and starfish around the main centerpiece. 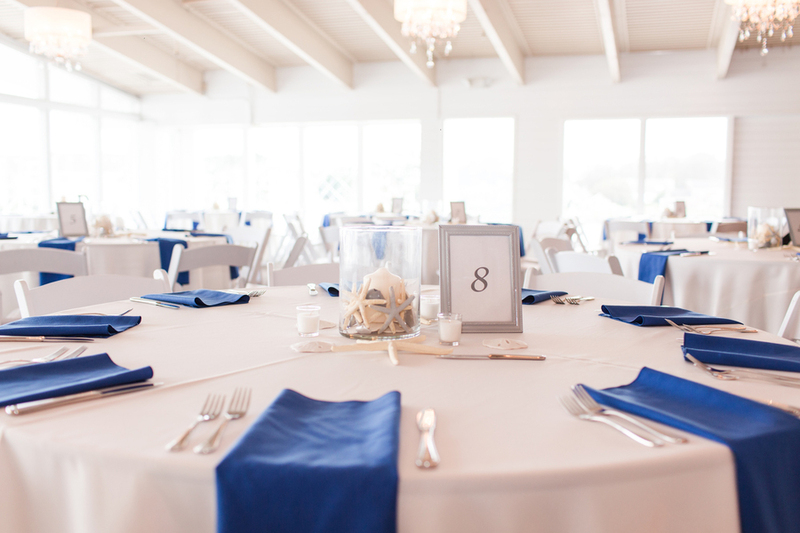 In addition, each table number was in a silver frame and crisp blue napkins circled the table. 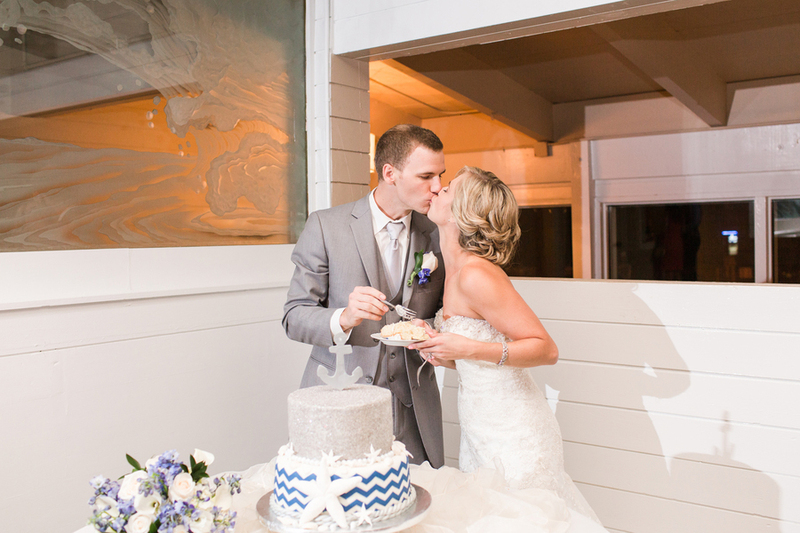 They ate, rejoiced, and danced the night away with their family and friends as husband and wife. 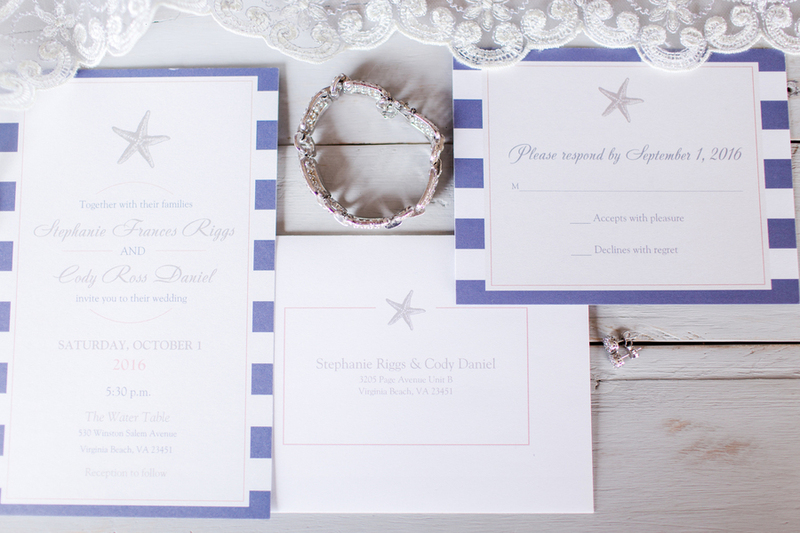 Living by the water and having a love for the outdoors coupled with my husband being in the Navy inspired a nautical, vibrant coastal theme fused with sparkle. 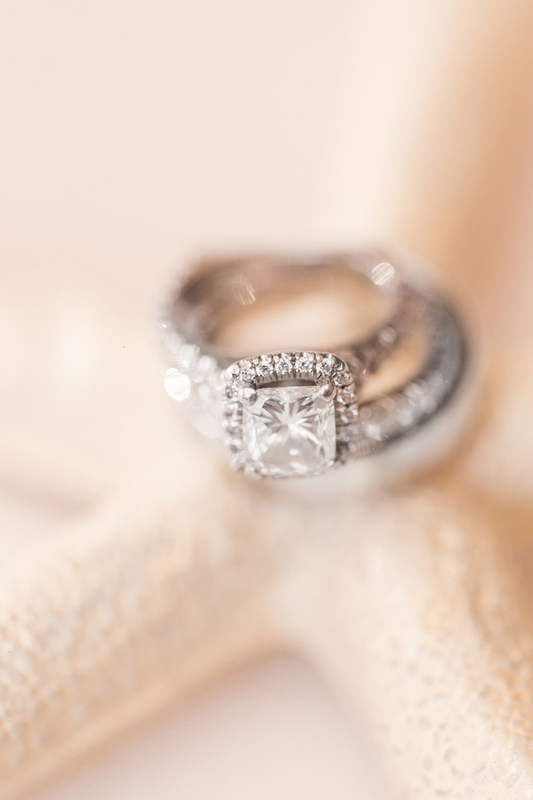 My wedding day look was embedded in my love for all things sparkle and glitter. 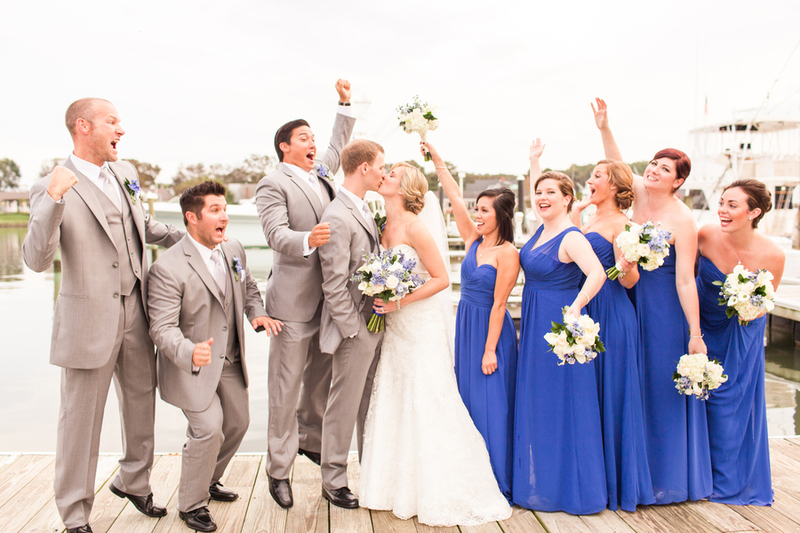 My husband selected his suit based upon the bridal party colors. 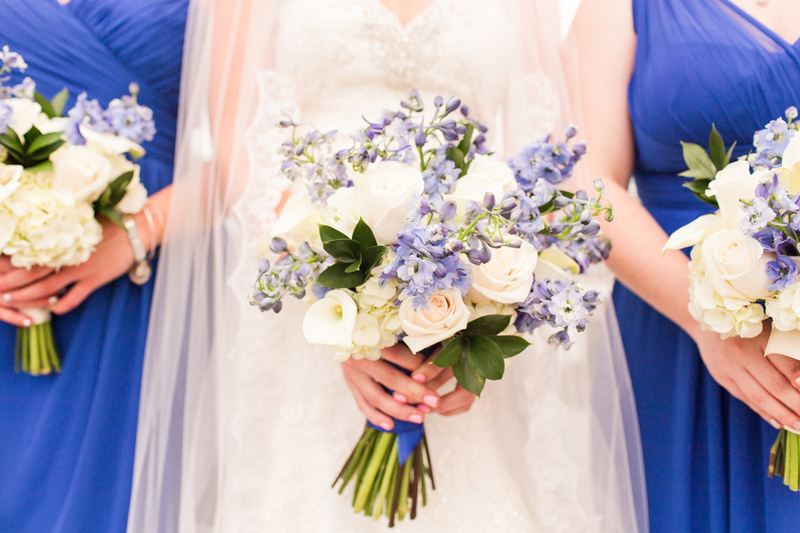 The color theme for the wedding was silver, grey, and cobalt. 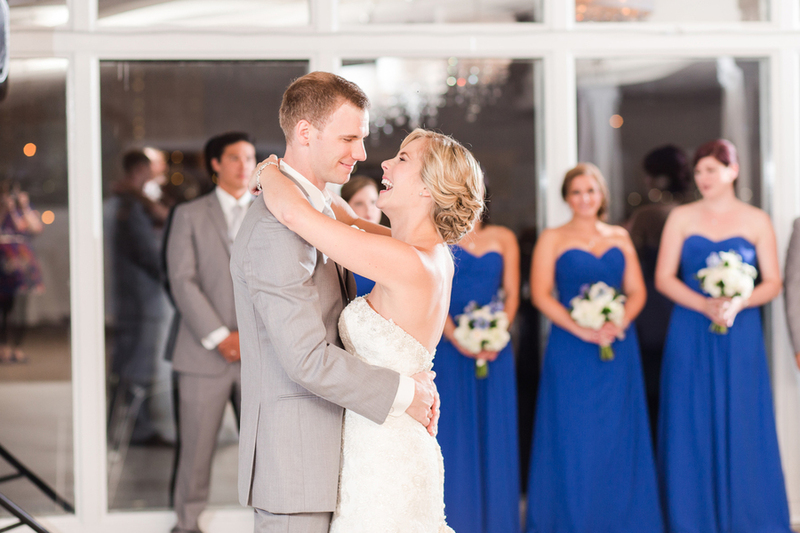 Seeing my husband as I walked down the aisle. I will never forget that moment because although we were surrounded by our loved ones, all I saw was him.